Oatmeal/ oats is an ideal & versatile food for babies as its rich in fiber, protein & calcium also wholesome, easily digestible, less allergenic and it is an excellent food to offer when the baby is constipated as its rich in soluble fiber. Check here for more details on how and when to introduce oats to the baby, health benefits of oats, how to select and types of oats, etc. You can make instant Cerelac for your baby during travel, check the method of preparation given below in the next paragraph. Use only quick cooking oats to make this oatmeal powder for making instant oats cerelac. Make porridge with water or milk. Check oats porridge recipe here with step by step instructions. You can use this powder to make dosa, pancakes, muffins/cakes, etc. Add ghee, powdered jaggery to this oatmeal cereal mix and make ladoos. Refer this poha ladoo recipe and replace poha with this oatmeal powder. For babies above one year, you can add it to any milkshake. It tastes excellent! Mix this oats powder with hot milk and offer as a breakfast cereal. Sure a healthy alternative to store bought corn flakes! 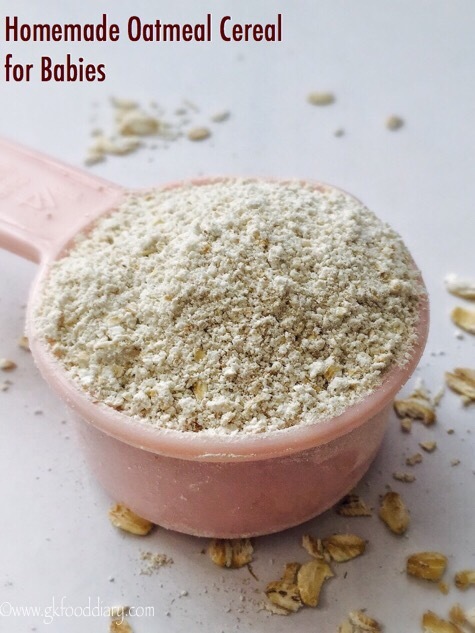 How to use this oatmeal cereal mix powder during travel? 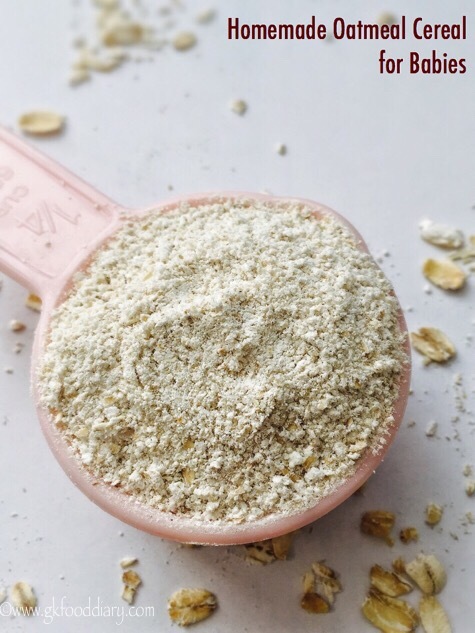 In case of emergencies or during travel, make this powder with quick cooking oats. Store in an airtight container and pack for the trip. When required, Add two tsp of this powder in a bowl and add a cup of hot water/ boiled cow’s milk(for babies above one year) to it. Close it with a lid and keep it undisturbed for 10 minutes. 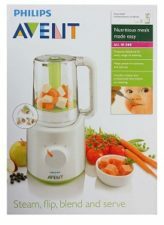 After 10 minutes, open it, mix well and feed your baby. You could also add dates syrup, any fruit puree or mashed fruits to make it tastier! 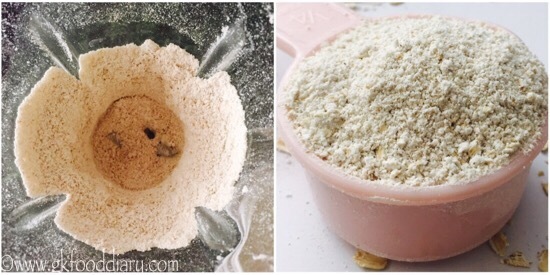 Now let’s get onto check how to make oatmeal powder recipe for babies, toddlers, and kids. Measure oats. Transfer the oats to a blender/mixer/food processor. Grind the oats to a smooth powder. Transfer it to a plate and cool it down. Then store it in an airtight container. 1. Measure oats. 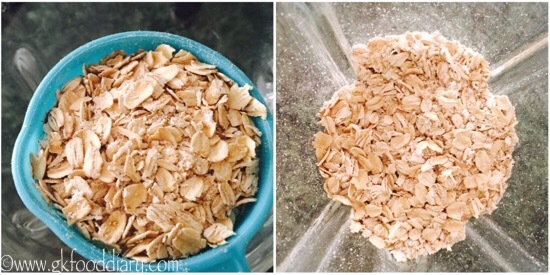 Transfer the oats to a blender/mixer/food processor. 2. Grind the oats to a smooth powder. Transfer it to a plate and cool it down. Then store it in an airtight container. Healthy homemade oatmeal cereal is ready! This oats powder keeps well for two months if handled correctly. Store this oats powder in a cool and dry place. Keep it in the refrigerator if the temperature is extremely hot. You can grind it to a fine or coarse powder as per your preference. Generally, oats don’t cause any allergies, but check for symptoms and stop feeding your baby if you find any. Any variety of oats can be used to make this oatmeal cereal. Can i use Horlicks oats to my baby..?? It’s an optional step. You can do it if you wish. I don’t think it affects nutritional value. It just gives nutty flavor and aroma. You can skip roasting too.